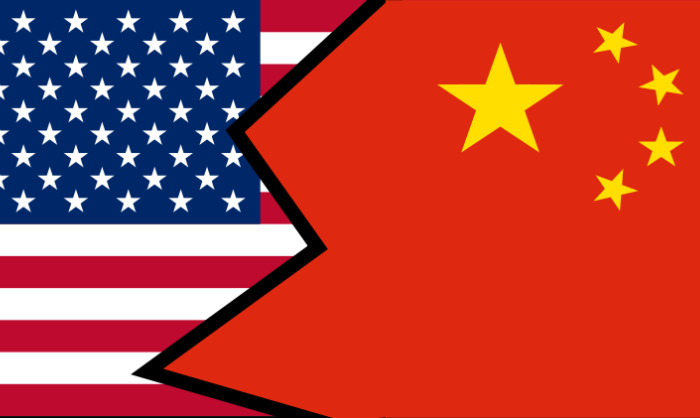 Nothing new here: yet behind that ambition, lies another, further ambition and a little mentioned ‘elephant in the room’: that the ‘trade war’ is also the first stage to a new arms race between the US & China – albeit of a different genre of arms race. This ‘new generation’ arms-race is all about reaching national superiority in technology over the longer-term, via Quantum Computing, Big Data, Artificial Intelligence (AI), Hypersonic Warplanes, Electronic Vehicles, Robotics, and Cyber-Security. Export controls though, are just one part of this ‘war’ strategy of ‘data denial’ to adversaries. But semi-conductors is one field in which China is indeed vulnerable: since the global semiconductor industry rests on the shoulders of just six equipment companies, of which three are based in the US. Together, these six companies make nearly all of the crucial hardware and software tools needed to manufacture chips. This implies that an American export ban would choke off China’s access to the basic tools needed to manufacture their latest chip designs (though China can retaliate by choking-off the supply of Raw Earth, upon which sophisticated tech, is reliant). "You cannot build a semiconductor facility without using the big major equipment companies, none of which are Chinese,” said Brett Simpson, the founder of Arete Research, an equity research group. And, as the FT, notes, the real difficulty is not [so much] designing the chips, but in the making of very cutting-edge chips." “The Trump administration's global campaign against telecom giant Huawei is pitting Europe against itself – over China. In the midst of a ballooning US-China trade conflict, Washington has spent the past few months pressing its EU allies via its ambassadors to take a stronger stance against Chinese telecom vendors such as Huawei and ZTE. The American push…is exposing fault-lines between US allies in Europe as well as [between] the so-called "Five Eyes" intelligence community — which have largely followed the US lead — and others that resist the American pressure, by stopping short of calling out Chinese tech.